Maybe it's time to give your home a little makeover. Or perhaps you have set out to sell the place and you'd like to increase its value. 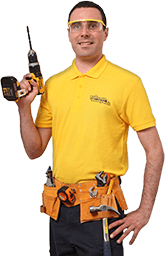 In all cases, Fantastic Handyman can help you with quick and efficient refurbishment services done by expeditious and precise builders. Even if you are on a budget, you can renovate your home one room at a time. This way the renovation cost will be broken down to different “projects” depending one what areas you want to be refurbished. And rest assured that the reliable handymen are going to follow through, no matter how long it will take. 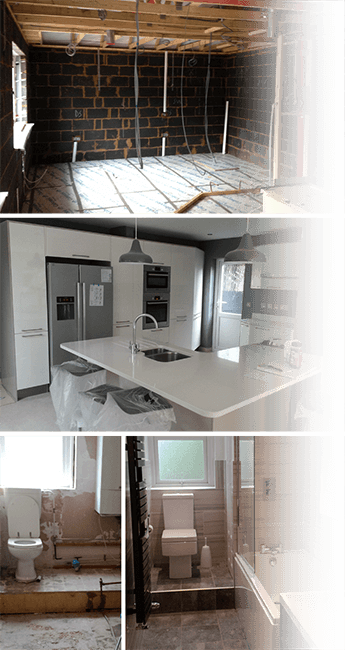 The specialists who will handle your renovation project are 100% insured, experienced building specialists who will deliver you marketable results in a short period of time. The team bring all the necessary tools and equipment to complete your project. From screwdrivers and ladders to all kinds of power tools, they've got the means and know-how to finish your project in time. After the survey of your property, the handymen will know exactly what kind of materials will be necessary for the improvements and repair work. Before the actual service takes place, the team will collect the materials and bring them to your home. This way you won't have to waste your free time with shopping and transportation. The costs for said materials will be added to the final quotation for your service. The quote you will be offered for your house refurbishment service is final, and it will include the costs for labour and materials used. In other words, don't expect some sort of sudden “surprise” charges or similar shenanigans. What you get with Fantastic Handyman is 100% honesty and high quality of workmanship.